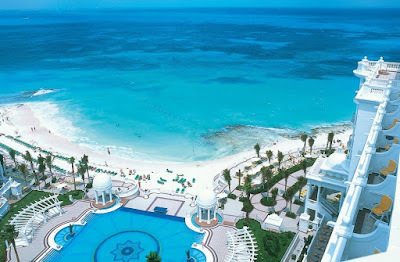 The Mexican has invested $200 Million Pesos to clean the Cancun´s beaches at all. With an investment of 200 million pesos, this Wednesday begins work to install the first barrier in Punta Nizuc, in Cancun, which aims to divert the sargassum into the sea and redirect it with the help of wind and natural marine currents. The objective is to avoid massive coverage of the coastline, and generate greater environmental and economic impacts to the Mexican Caribbean. As before, the sargassum that remains on the shore of the beaches will be manually removed and deposited in places of final disposal. The sargasso will be removed with seven structures that the government of Quintana Roo hired from the Goimar Goimsa Group, and the collection will be carried out through amphibious bands or suction bands, explained to El Universal the titutal of the Secretariat of Ecology and Environment of Quintana Roo (Semaqroo), Alfredo Arellano Guillermo. The first fence will serve as a pilot, the other remaining will be placed later in Tulum, Playa del Carmen, Mahahual and Puerto Morelos. Yesterday, during the private meeting that members of the state cabinet held with hoteliers, and in a second open meeting with social sectors, academics and organized civil society, the project to contain sargassum was announced. They explained that the problem is not going to be solved, because it depends on the currents and the winds, but it can reduce the amount (of sargassum) that reaches the beach. They are plastic barriers, canvas, buoys to float, with a width to the bottom of 50 centimeters, to retain the sargasso & quot ;. Also, the owner of Ecology and Environment clarified that "the type of mesh does not threaten the fauna, which can go under it, without any problem. & Quot; For his part, the coordinator of advisers to the state government, Felipe Ornelas said that the work of collecting on land will be maintained along with the diversion of algae in the sea, to avoid burying sargassum on beaches, under the own sand, otherwise, there would be significant environmental impacts on the ecosystem, for example, it would change the color of the beach, its composition and quality. We recently reported on the unusual amounts of seaweed or pelagic Sargassum that are washing ashore on beaches throughout the Mexican Caribbean. This is not confined to the state of Quintana Roo, the Caribbean islands and the Gulf coast of the United States, from Texas to Florida, are reporting similar experiences. While it is natural for seaweed to come ashore after storms and for warmer water temperatures in the summer to cause it to breed more quickly (a phenomenon known as a bloom), such large quantities of seaweed are rare. Two species of pelagic Sargassum are washing ashore, they are also known as Common Gulfweed (Sargassum natans) and Broad-toothed Gulfweed (Sargassum fluitans). Sargassum comes from the Portuguese word sargaço, which means “little grapes,” a reference to the air-filled bladders that enables it to float on the surface and move with the currents. Unlike other algae that are rooted in the seabed or attached to rocks or corals, it can grow and reproduce as it drifts through the water. And when fragments break off the main plant, they can also reproduce, contributing to the formation of carpets of seaweed. Pelagic Sargassum is associated with the Sargasso Sea in the Atlantic Ocean where vast beds of this free-floating seaweed are a habitat for many creatures such as microscopic plants, shells, shrimp, tiny crabs, sea horses and eels and are a nursery for four species of baby turtles and fish, including jacks, tuna and mahi-mahi. In fact, 120 species of fish and more than 120 invertebrates make their home among the plants. Migrating schools of fish also use the dense mats of weed as a refuge from predators such as sailfish and marlin, and seabirds and shore birds feed on the seaweed’s bounty. 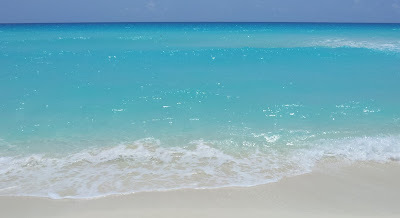 Ocean currents such as the Gulf Stream, the North Atlantic Current and the North Equatorial Current transport Sargassum and it is found naturally in the northern Gulf of Mexico and the Caribbean. Yet mats and lines of it are now being seen in areas where it has not been reported before or is very rare, and blooms have been reported in areas of the Atlantic not directly associated with the Sargasso Sea, such as the coast of South America. There may be multiple sources for the seaweed proliferation currently affecting the Caribbean and it may come ashore in different locations at different times during the year. Where does the seaweed affecting the Mexican Caribbean come from? To date, the origin of the Sargassum coming ashore on the coast of Quintana Roo and other parts of the Caribbean is unknown, however, marine biologist Rosa Rodriguez Martinez of the National Autonomous University of Mexico Marine Research Field Station in Puerto Morelos told us about one possible theory. It may come from as far afield as the coast of Brazil, thousands of kilometers to the south. This was the source area for a massive island of seaweed spotted in April 2011 to the north of the Amazon estuary in Brazil where it had never been seen before. By July the same year it had dispersed into smaller patches and tons of it were washing up on beaches in the Eastern Caribbean from Trinidad to the Dominican Republic, where it became known as “the golden tide.” Ocean currents had even taken it across the Atlantic to West Africa, where it affected a stretch of coastline from Sierra Leone to Ghana. Deforestation continues unchecked in the Amazon Basin and northern Brazil and without tree roots to anchor them tropical soils are easily eroded. It is thought that higher than average rainfall levels in 2010 and 2011 washed greater amounts of soil, organic waste, fertilizers and other chemicals into the sea. This influx of nutrients, which could also have been supplemented by nutrients from upwellings of colder water at sea and dust from the Sahara, may have provided optimum conditions for the alga to thrive. Rising water temperatures due to climate change and excessive nutrients from nitrate fertilizers, pesticides and waste that find their way into the ocean are thought to be important factors. The water temperatures in the Caribbean are warmer this year and traces of chemicals can affect the balance of the marine ecosystem in many ways. Other theories are that the appearance of drifting mats of Sargassum may be due to changes in wind patterns linked to El Niño that affect the ocean currents that circle the Sargasso Sea or that it is an environmental impact that can be traced to the BP oil spill in the Gulf of Mexico or to oil exploration. Other scientists attribute it to the use of certain types of pesticides in southern US, Colombia and Brazil that find their way into rivers and then into the sea. Different factors may have come into play in different areas affected by Sargassum. Marine biologists do not know yet whether this is a rare event and or whether it will prove to be cyclical. Seaweed has always washed ashore on the Quintana Roo coast; it is a natural occurrence. The fact that this season it is doing so in much larger quantities does not mean that the beaches of the Mexican Caribbean are dirty or polluted. 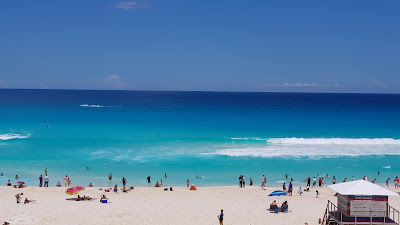 In fact, Cancun was recently awarded the prestigious Blue Flag for six of its beaches, an international standard of excellence for beach cleanliness and many other area beaches in in the process of applying for Blue Flag certification. When Sargassum is beached, marine creatures that are trapped die and begin to decay; this is what causes the distinctive, short-lived fishy odor, not the seaweed itself. Although seaweed is completely harmless and does not sting, it is a good idea to shower after swimming in the sea and wash your swimsuit. Sometimes microscopic creatures called hydrozoa, tiny jellyfish or sand flies are trapped in the weed and a few of them may occasionally cause a rash, by rinsing thoroughly you will be eradicating them. 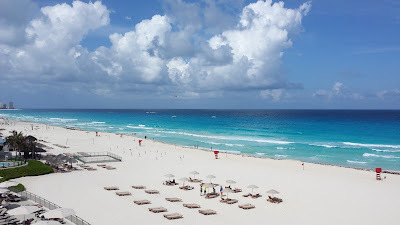 Beach cleaning is being carried out on a daily basis in Cancun, Puerto Morelos, Playa del Carmen, Cozumel and other resort areas such as Akumal, Tulum and Mahahual. In the third week of July, the Federal Government authorized additional funds for Municipal governments to hire more people to clean the beaches and conservation groups, soldiers and people from all walks of life are also volunteering to help remove the seaweed that washes ashore. As it is sea turtle season, most cleaning is done manually and there are restrictions on heavy machinery such as bulldozers that could damage nests and their precious eggs. 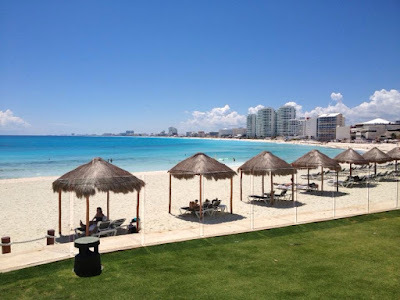 In Cancun, the authorities have given permission for lightweight diggers to be used during the day and only on the sand that is closest to the waves. The methods used will be carefully controlled to prevent damage to the beaches. Reconnaissance flights and boat patrols will keep track of patches of seaweed as they move north through the Yucatan Channel, identifying those that could make landfall. All along the coast, turtle guardians are keeping an eye on adult turtles coming ashore to nest on beaches where there may be seaweed and will watch over the hatchlings as they are born later in the season to ensure that they do not become entangled in it. The local authorities, hotel associations and Mexican environmental agencies SEMARNAT and CONANP are working with local biologists, and experts from the Universidad Autónoma de México on a statewide cleaning and disposal plan for the seaweed. Once the salt has leached out of seaweed it can be composted and it makes an excellent fertilizer. In Puerto Morelos, some of the seaweed removed from the beaches is already being deposited in an old quarry and it could eventually be used in the parks and gardens. 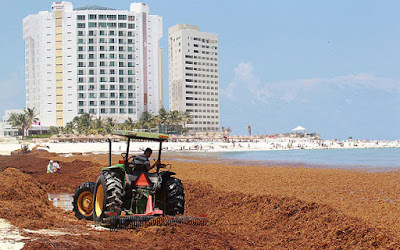 In other areas of the Mexican Caribbean, although not in Cancun, the seaweed is being buried in the dunes and the soil formed will boost plant growth. Seaweed anchors the sand and helps protect the shoreline from erosion. When seaweed is left to decompose naturally on the sand, it actually contributes to the growth of the beach. Sargassum is consumed in other parts of the world or given to farm animals as part of a dietary supplement and it is believed to have healing properties. These uses may also be studied as part of the disposal program. Government and tourism officials and local institutions are now in contact with experts from Texas A & M University who are working with NASA to use satellite imagery to track the floating patches of seaweed as they are move through the Caribbean, the Yucatan Channel and the Gulf of Mexico. With more information they can forecast when larger patches of seaweed are approaching the coast and can plan accordingly. This project also monitors the Sargasso situation in the Caribbean islands, from Grenada and Barbados to Puerto Rico. In another initiative, the Gulf Coast Research Laboratory at the University of Southern Mississippi is collecting reports from all over the Caribbean. Using the information they receive from different parts of the Caribbean, the Atlantic and the Gulf of Mexico, satellite imagery and the movements of marine currents they can identify Sargassum source areas, track the floating seaweed and try to understand why it is reproducing so quickly. At Royal Resorts beach cleaning brigades are out every morning. The fact that they work before the hottest part of the day means that you may not see them but they are doing their utmost to keep the sand looking beautiful. We will give you further updates on the seaweed and the beach cleaning program as more information becomes available.